Home > About Us > Blog > You’re Ready for Vacation. But Is Your Smile? You are counting down the days. Maybe you’ve been shopping for new clothes. Hitting the gym a little more often than usual. Your haircut is scheduled. Because when you go on vacation, you want to look your very best, right? But have you thought about how to prepare your smile? After all, when your family and friends look back on those vacation photos, your gorgeous (or not-so-gorgeous) grin is one of the first things they will see. 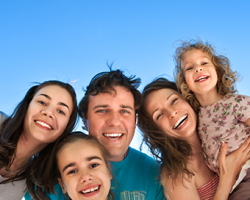 Dr. Thomas J. McDonald and his team at Mid-Michigan Dental Excellence offer an array of cosmetic dental procedures designed to make your smile shine while you’re on vacation — and beyond. Typically, veneers must be created at an outside lab using the patient’s measurements, which means multiple dentist visits and often weeks of waiting. Not so at Mid-Michigan Dental Excellence. 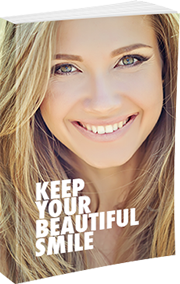 Our veneers are crafted in the office with our own state-of-the art CEREC machine. They are custom-made for your teeth while you wait. This means fewer appointments and much quicker results! Dr. McDonald will select a composite resin that’s an exact match for your tooth color. He will prepare the surface of the tooth to ensure the resin adheres properly. He will apply the putty-textured resin to the prepared tooth, shaping it along the way. He will use an ultraviolet light or laser to harden the resin. Finally, the doctor will refine the shape of the resin and polish it so that it looks just like part of the tooth. With proper oral hygiene and care, your tooth bonding can last several years! If you’ve tried drugstore whitening kits, you may have noticed that, well, they don’t really work. That’s because in order for them to be sold over the counter, the whitening agent must not exceed a certain concentration. At Mid-Michigan Dental Excellence, we offer two excellent whitening systems that turn your smile from dingy to dazzling — and do it fast. Zoom DayWhite and Zoom NiteWhite utilize trays custom-made from impressions of your teeth, so the solution covers completely and perfectly. While your treatment will be supervised by Dr. McDonald, you will do the actual whitening in the comfort and privacy of home. In as little as two weeks, you will have a brilliant, vacation-worthy smile. At Mid-Michigan Dental Excellence, we understand that dental work can be expensive. We also believe that everyone deserves their very best possible smile. To help our patients achieve theirs, we accept a variety of payment options. Depending on the number and nature of the treatments you require, we may be able to set up an individualized payment plan for you. Call us at (989) 796-4848 to discuss your options. Of course, while cosmetic procedures like dental veneers, tooth bonding, and whitening are wonderful — even life changing — the most important thing you can do for your teeth is to make sure you schedule an examination and cleaning every six months. The most beautiful smile is a healthy smile. And the better your oral health, the fewer interventions (cosmetic or otherwise) you will require. Call Mid-Michigan Dental Excellence at (989) 796-4848 to find out more about our offerings or to schedule an appointment. You may also fill out our convenient web form.